We are at the forefront of changes happening in the industry. In a market where prices are under great pressure we are always looking for ways to keep giving our clients the best prices and of course our excellent service. In order to achieve this we have built strong, solid partner relationships with several companies. If you would like to discuss the possibilities of becoming our partner, please do not hesitate to contact us. Fiberstruct is active in supplying GRP products and solutions since 1966. 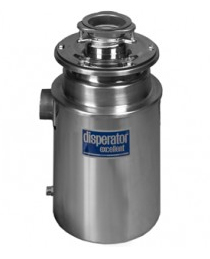 With an excellent reputation and high quality products, Disperator has achieved a market-leading position in equipment for the handling of food waste in the maritime industry worldwide. MARICHEM MARIGASES Worldwide Services has been manufacturing to the shipping and other industries for almost half a century. Present at more than 2,100 ports, with a worldwide distribution network of almost 200 stock points. Thermatras® is a company which specialises in measuring, producing and installing thermal insulation in the form of durable insulation blankets. 3M provides thousands of innovative products including tapes, abrasives, adhesives, specialty materials and filtration systems to dozens of diverse markets – from purification to aerospace.